Text message and SMS marketing service. Use text marketing to send mass text alerts, reminders. promotions, and more. We've been helping businesses grow since 2010. "Basic but that's all we needed"
I love how easy Txt180 is to use. The dashboard is simple and user friendly. Customer service is great too. Every time i have called with a question its answered friendly and promptly. Im honestly probably not utilizing like I should. We had a marketing employee at one point which we no longer have and he was using it more. Its really lack of time on my part to not utilize and get informed as to all the txt180 does. Not really a dislike but Its pretty basic. You can basically have one key word so if you want to have multiple Im not sure how that works. Might be a different price point- again not really a dislike it serves the purpose we wanted it for. we are a very small Automotive dealership just getting started. Group texts to alert customers of events and promotions. Invite them to our other social media pages , wishing them well on Holidays etc. Having the opportunity to connect with your customers quickly is a must. Being able to send messages on the spot even from the txt 180 app is great and convenient. We can now pass along savings to customers much quicker and allow them to collect prizes by sharing with them info needed no matter if they are local or nationwide. The platform is easy to navigate once you sign in and plug and plays are easy to use for website additions as well. Support staff is always there to speak with you and get your questions answered in a timely manner. The only thing that may fall a bit short is the number of characters allowed. I believe 160 is just a tad short of its competitors. You have to become very creative in order to send out a message to your customers sometimes having them think about your message a little longer than normal. A few more characters would be great. It is a simple easy to use product. If you're expecting something robust this might not be for you if your looking for more characters than 160. However the platform will definitely get you where you need to go and then some. Support is great and will not leave you out guessing what the next move is. The benefit of being able to send text out to multiple members at a moments notice. This has been a great tool for business building and staying in contact with customer base. Thank you for your review, Byron! We're happy to hear your feedback and are looking to add MMS, which would allow for more characters, later this year. We appreciate your business. "Easy to start, a little archaic"
I like that I can message my list easily, it's pretty simple to use. The time zone doesn't match mine and I have to adjust that always. It seems kind of expensive for what I get, just from a small business perspective. I can only use it from my computer, maybe there is an app but I've never found it. The whole platform is pretty archaic. Worth exploring other options, I just haven't found the time. Can't sort out how to to download numbers to move to a new service so you better like it or you lose your numbers. A bit archaic, and doesn't suggest ways to use text messaging for increased marketing, no suggestions on how to grow lists...which isn't really it's job but it would sell more for them and likely for me. I'm able to reach customers via text message to remind them of promotions and occasions to purchase. Thank you for taking the time to review us. For the time zone, you can set this to your time zone. To do this, please visit the My Profile section at the top of the dashboard. Also in My Profile, is a link to download our free phone app. We have a lot of articles on how to use text marketing for different business types on our website but we are currently re-designing the dashboard to include those tip and articles as well. We appreciate your business. "Great Results - Awesome Reports Built in! " Their system is easy to use which is why I initially chose them over a couple others. When I have needed support, their staff and online chat are awesome. I get great results versus other marketing avenues that I use (email, print, social) with SMS marketing. They also recently added several different reports that I find very useful. All around a great product. Start with their trial offer, 15 days free, and utilize their free support to get your account set up. it's not a hard system to use but if you've never done SMS marketing before, there are a few key things to learn. They do have video tutorials in the dashboard, but I found myself either calling or chatting to expedite the process. Once i went through the process of a couple of times, I no longer needed help moving forward. Great response rates and click-thru-rates!! A better way to communicate with my customers and drive traffic on the same day. I also like the inbox feature, I have customers text me questions which is a lot more simple than a phone call. Thank you for taking the time to review TXT180! We are happy to hear that it gets better for you than your other marketing methods. We appreciate your business. "Text180 is a lot of work..."
I love being able to send mass texts to multiple recipients but the way in which you add in contacts, make new groups and send the messages does take some effort. Its really a long process to get the contacts added and to format new messages to send to our candidates. So, its a bit impractical to be used for a recruiting team. I would say that this company would be a good investment if your company is looking to mass-communicate with their employees and give changes/updates frequently, However if you're in recruiting, it's a bit rough. I've been able to send mass texts to our potential candidates, we've been able to send a link to apply for our positions to a candidate's mobile number right on the spot a and we can send updates to many people at once. Thank you for taking the time to review us Karalyn. Our support team is more than happy to help you create your groups and find the easiest way to get your messages out. Feel free to reach out to us via live chat, email, or phone. We appreciate your business. "Txt180 - A very mature and flexible system for SMS API access"
I am particularly fond of the feature set and its access via APIs for our integration needs. Where it has been lacking, Txt180 worked to fill in blanks even for a small company such as ours. We have had one or two small disruptions of service over the last year - but was able to repair any detected issues. There was complete responsibility on Txt180 for their parts and excellent help in making things right. 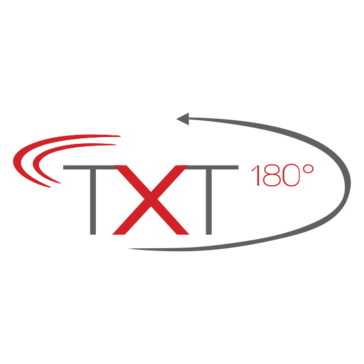 Another side benefit of Txt180 is their expertise and calm nature when responding to all of the shock and awe out there in the SMS community in reference to FCC and courier rate/policy changes. Other vendors tend to scare you into products. Txt180 helps you really understand what matters and what does not. We are an advertising fundraising platform for Non Profit Organizations. Many SMS providers tend to batch process posts. Txt180, via their API, offers an on demand contact allowing bi directional responses. It also allows us to target specific time periods for sending texts while students are not a school - for example. Thank you for your great review, Don! We are happy to hear you enjoy the service and we appreciate your business. "Easy to use, affordable service to stay connected with your network"
Stored messages makes it easy to send similar or repeat messages with just a few clicks. I have been locked out before due to expired credit card info and getting back in took too long and I missed my opportunity to send a reminder message. Quality service at the right price. Easy to use. Many features. Easy to maintain and update. East to promote and acquire new users. Volume of messages is just right for the price. Easy to setup and easy to deliver messages. You will not be disappointed with this service! Staying in communication with our network. Easily reminding dozens of people about upcoming events. Simple and easy to use. Thank you for your review, Don! We are happy to hear that TXT180 helps you communicate easily and that you enjoy the features. We appreciate your business. "Very handy and easy to use!" The service has enabled us to use shortcode texts to send video tours of properties to our potential clients. The setup is VERY easy, pricing is super competitive and their customer service is SUPERB! Nothing major at this point, I do wish we were able to change the keywords from our end vs deleting and adding a new one each time if it's unused. Compare the features and pricing with other competitors and you will see that txt180 is the best option! The services enables the potential consumers engage and get information without having to call or meet with us which is something everyone avoids for the fear of sale pressure. Thank you for taking the time to review us, Inga! We are happy to hear that you enjoy TXT180's services and are happy to have you as a client. We appreciate your feedback and are glad to hear that text helps you communicate with potential clients without them fearing the sales process. "Affordable software for texting your customers"
I love that I can schedule my texts to my customers ahead of time. I don’t have to worry the messages are always sent on time. Also, the software is really user friendly and is a great tool for storing your customers’ phone numbers, email addresses, and birthdays as well! It’s a great way to stay connected with your customers. I do a pop up shop every month and each month I send out messages to remind my customers of the upcoming sales event. If I didnt use this software I am sure my customers would forget my upcoming sales dates. Thank you for your review, Melinda! We're happy to hear that TXT180 works well keeping your customers aware of your sale dates. We appreciate your business! "So simple a caveman can do it!" I am NOT techno savvy and every time I had an issue I spoke with the same customer support tech each time. We know each other on a first name basis and she understands what it is that i am trying to accomplish using their amazing text service. Everything was explained and in my case explained several times... patiently by support. There isn't anything to dislike. Maybe improved upon. More characters per message to be sent. Maybe a lesser amount of messages burned while opting people in. Not being charged for reply messages. If text SMS mass texting is what you are looking for TXT180 is the service to use. There is nothing to download. Saving time. Yes, time. Mass texting without a service is an extreme time waster. We are a small but growing employment agency. This service helps us communicate with our work candidates very efficiently and cheaply compared to traditional methods. Thank you for your review, Richard! We appreciate your business and are happy to hear that it works well for your employment agency. "Direct Opt-In Marketing Made Easy! " I like that I am able to roll over my messages if I did not use them that month. I also love how I am able to save templates for messages, making it easier to send to a list of clients. I need graphocs to be sent to clients as well, and emojis! I am able to have a cancellation list now and market directly to customers who are looking for last-minute appointments, and sell more products to customers who have previously purchased retail in house. Rebecca, thank you for taking the time to review TXT180! We appreciate your feedback and we are looking to add MMS (photos and graphics) in the future. Emojis, unfortunately, are not supported by the carriers for shortcode messaging yet but we're hoping that will change in the future as well. We are happy to hear that the service works well for your marketing and communication needs. "Great service for the price"
I love how easy it was to pick a short code that is relevant to my business. I love the dashboard feature and how easy it is to naviagate. The price point is competitive, and includes many extra features then competitors offer at the same price point. I wish there was an option to add an extra short code at no additional cost, for those paying upfront for a full year of service. Yes, it is a great value. Thank you for taking the time to review TXT180! We are happy to hear that it is working well for you and are glad to hear that you're being creative in advertising your opt-in on your car window. We appreciate your business. "Best Short Codes for SMS Service"
Text 180 is an easy to use text marketing service. They have great support, customer service is quick to respond. Scheduled text messages and campaigns are easy to configure and send. By using a unique short code, my customers can easily remember our keyword and are easy to recognize by subscribed customers. There is only two way communication for instant feedback and conversation with customers too. Overall, the interface is easy to use, straightforward and complete; it is not pretty or the best layout, however, everything you need to send and receive text messages is at your fingertips. I would like to see MMS (Multimedia Message) support and the ability to send MMS in addition to SMS. Because of a great short code and the ability to use keywords for campaigns, I can quickly and effectively reach my intended audience. My customers love the ability for direct communication on their device without relying on using a personal computer. Thank you for taking the time to review us! We are in the middle of our dashboard refresh design, we hope you enjoy the more updated look. We are happy to hear that you and your customers enjoy the service. We appreciate your feedback and business. An easy way to increase sales immediately with a couple of keystrokes and more effective than email marketing. Able to target our customers faster with deals they are wanting. Easy to manage and the cost per sale is lower than email. If there is anything that could be improved on is when a person updates their information (website) they are transferred to another webpage to claim an incentive (coupon, etc.). And when they complete their update, a text message sent with a thank you for updating information and a link back to the redirect page to claim the incentive if they didn'thave time to print coupon. If you never considered the effectiveness of SMS marketing, it's the best investment in growing your sales. The biggest advantage is the ability to reach our customers within minutes concerning a sale item and leading them right back to our sales page. Thank you for taking the time to review TXT180! We are happy to hear that text helps you increase sales and is more effective for you versus email marketing. We appreciate your business and feedback. "TXT 180 - Connection to our staff"
I love how simple TXT 180 is to use. Just yesterday, I sent a message to our staff while I was waiting for my truck to warm up. Simple and quick to use and I can access it from anywhere with my phone. I haven't found anything I dislike about it yet. We solved the phone tree for communication outside of normal working hours. We are able to get communication to staff on schedule changes, office closings, and special texts letting them know lunch will be provided or they can wear jeans for the day. It saves multiple people making multiple calls and everyone is getting the same exact message. Thank you for your great review, Kerri! We are happy to hear that TXT180 works well for keeping your staff informed easily. We appreciate your business. "Easy to use - good value"
We had never used texting before for advertising and we wanted to try it out. It was very easy to get going. I have already recommended it to others. i would like to have an account manager help me with best practice for an additional fee. People dont like to call always or are not able to call but want to get some info before they forget to contact you...texting allows that. Thank you for your review, Steven! We actually provide a complimentary account manager that can help you think through how to promote it and use it more effectively. I will assign you an account manager today and have them email you. We appreciate your business and are happy to hear that texting works well for you. "Looking for Text for Business? This is Great! " The tech support is available and if not they email you really fast. I've never had to wait more than a day for an answer and most of the time they do it right there. I had to change our keyword and it was completed instantly. It works for what I need. I guess if you want different features, you can get them in different products. But this one works for me perfectly and it's very cost effective. Yes, it is affordable and easy to use. Tech Support is responsive e as well. We need an affordable way to use text messages. This solves that and it's super flexible. Thank you for taking the time to review TXT180! We are happy to hear that you enjoy our customer support and the product works well for you. We appreciate your feedback and business. Ability to schedule messages, receiving notification when new subscribers opt in. Inability to customize opt-out messages. Our users have expressed confusion at the message that says they will be getting a minimum of "x" messages a month. Capturing new users. Our customers can begin using our service by texting the word "storm" to 21000. This lets us target them with a link to begin using our service. Thank you for taking the time to review us! We are happy to hear that the service is working well for you. Thank you for your great review, Steve! We are happy to hear that you enjoy the service and we appreciate your business. "Easy communication platform fosters prospective students engagement and involment"
Well-designed, highly effective messaging tool has the potential to keep prospective and current students engaged and well informed what goes on on-campus. A useful way for admissions, students, and parents to monitor progress and demonstrate holistic evidence of learning. Personalization (first names) when texting students. Enrollment. By using TXT180 we can keep our students informed about unplanned changes in their program and information sessions. Thank you for your review, Klint! We are happy to hear that TXT180 works well for keeping students and parents informed via text. We plan on adding the feature to add names to messages mid-year. We appreciate your feedback and are happy to have you as a customer. I like the ease of use on all platforms and the pricing point! Personally i have had no issues with this service. The only thing negative i could say is that the site could be a little more aesthetically appealing to perhaps get more clients! We use this service to reach our congregation of over 1000 people. Thank you for your review, Logan! We are about to launch an updated version of the dashboard, we hope you like it! We are happy to hear that you enjoy the service and the price point. We appreciate your business. "Does Exactly What It Is Intended to Do"
The ease of use, the streamlined features, no gimmicks...just great service. I don't have any dislikes, honestly. We have never had any issues. We are reaching opt-in customers in a fast, efficient manner, without having to spend time-consuming efforts and costly third-party choices for a service that makes it easy and effective. We're happy to hear TXT180 is working well for your business! Thank you for taking the time to review us, Jeremy. "TXT180 has been a staple for my business for the past several years." I like the simplicity of the interface and the high touch customer service. I am able to connect and engage with my customers and prospects at the point of communication most accessible to them (their phone) which is an invaluable asset for promotional marketing. Thank you for your review, Edward! We plan on adding the MMS this year and are happy to hear that text works well for you to engage with your customers. We appreciate your business. "Great text service for churches"
I like best the fact that the application is super easy to use and easy to send multiple messages to all my church contacts. Although it’s an easy application to use, I wish it looked better than it does. The ability to inform all my contacts of any up and coming events. Thank you for taking the time to review us, Howard! We appreciate your feedback and are happy to hear it works well for your church communication needs. Stay tuned, we are in the middle of a dashboard re-design, we hope you like it! "TXT180 is a dead-simple way to integrate texts into our toolbox for promotional events." TXT180 offers a cheap and easy way to create links to private urls for exclusive events. Interface seems unintuitive, and features aren't all that clear. We often use TXT180 in short bursts throughout a year and often don't reuse text codes. Offering a separate payment method that doesn't charge monthly would probably be more cost-effective for us. Currently we are using TXT180 specifically as an alternative to putting up a URL on a flyer and signs, making it easier for people interested to sign up for our events. Thank you for taking the time to review us! We do offer a yearly plan where you save up to 25% by paying for the year upfront. We are happy to hear that text works well for driving people to sign up for your events! "Great option for business texting service"
The ease of use of the system. It's easy to use and one that's easy to get guests to sign up for. It doesn't automatically save text blasts without saving them manually. Make sure the monthly costs are justified by the increased business. Getting more people to sign up. Thank you for your review, Fahim! All sent texts are saved in your Pending/Sent for 6 months. We are happy to hear that text helps you get more people to sign up. We appreciate your business. "Easy to implement SMS messaging platform"
Quick to start.. It was easy to implement the features we needed. Hard to manage multiple messages. It is awkward to see the responses and to collect the address data. Provide a signup to order products or samples. Thank you for taking the time to review us, Adam. We appreciate your feedback and business. Im easily filling last minute openings in my massage practice. Thank you for your review, Kendall! We are happy to hear that text helps you fill your time slots in your massage business! We are currently working on our dashboard and app re-design so stay tuned for a new look, we hope you like it! We appreciate your business. "Have been using TXT180 for about 8-years awesome service"
Nothing, everything I use it for does its job. We appreciate your review, Gary! We are happy to hear the service works well for your business. There’s not much I dislike - maybe wish I could have replies go to my number? Thanks so much for your review, Alex! You can actually visit My Inbox then hit Inbox Settings and from there you can choose to have replies go to your cellphone or your email. We are happy to hear you are able to contact a lot of people and get your messages seen. We appreciate your business. Txt 180 is easy to use! I like that I can pay for just what I need. Scheduling future texts is awesome. I cant think of anything I dislike. Using it is a breeze. Not all of our customers use social media. I have had customers tell me they enjoy receiving texts to keep them informed about what is going on here without having to log on to social media or to even have social media. Thank you for taking the time to review us! We appreciate your feedback and business. We are happy to hear that your customers enjoy receiving the texts from you. I love the pricing, it was the most competitive pricing when I was searching for a text service, they are helpful and easy to eat ahold of, and the site is very easy to use. I don’t dislike anything it’s a great competitive service. Thanks so much for your review, Danielle! We are happy to hear that TXT180 works well for you and is easy to use. Very cheap for a lot of functionality! Great price point for a small business like mine. It's simple to schedule messages & I like that I can preview what the message will look like! I wish it had the capability to send MMS. Definitely use their customer support to set up. It's free and they're so helpful! TXT180 allows me to send out reminder texts to my customers about sales. Thank you for taking the time to review TXT180! We are happy to hear that you enjoy the service and its ability to help you keep your customers informed. We plan on adding MMS later this year. We appreciate your business. "What a terrific service. " Easy to stay connected to our crowd. Very affordable! This is a great solution I encourage people to use. Thank you for your review, William! We are happy to hear that text helps you stay connected to your crowd and we appreciate your business. "Tech savvy people will love this "
Thank you for taking the time to review us, Donna! We are happy to hear that it is useful for you. Unfortunately, shortcode doesn't support the use of emojis, we hope that the carriers change this soon. We appreciate your business. Easy to use, good features, and composing is seemless. Thank you for your review, Joel! We are in the middle of our dashboard refresh and it should be launching soon, we hope you like it! We are happy to hear that text has helped increase business and loyalty for you. We appreciate your business. There’s really nothing wrong at all with the service. Maybe if you didn’t have to buy so many text messages in a bundle because I don’t use many at all. Thanks so much for your great review of TXT180! We are happy to have you as a client and are happy to hear you enjoy the service. TXT 180 allows me to offer my clients last minute cancellations. It’s a win/win for me as a business owner. The format could be a bit easier to use but overall, no major dislikes. I am filling appointments with a wait list of my clients. Doing this allows me to have happy clients and make the $$ I need to fill those positions. Thank you for your great review, Kaylynn! We are almost complete with a dashboard refresh design and hope you like it! We are happy to hear that using TXT180 helps you make more money and fill last minute appointments. We appreciate your business. We can definitely help you with gaining more customers and opt-ins. A Customer Success Manager will be in touch with you today. Thank you for taking the time to review us! "Great platform to engage customers"
I have it set to text auto replies so customers can get information without having to call or engage directly with staff if they don't want to. Thank you for your review, Josh! We are happy to hear that text has helped with your customer communication and saves you time. We appreciate your business and feedback. "They've been a wonderful partner"
The customer service. Hands down. Stephanie is excellent, always helpful, and always available when I need her. I'd really love the ability to edit and delete my keywords myself, instead of having to rely on customer service. Also, I wish the keyword initial setup cost less. And the premium short code is too expensive. If you plan on activating multiple keywords or reselling this service, be sure to start of with the reseller program. If you start with the individual business plan, you won't be able to easily switch later on. TXT180 is the underlying infrastructure for our award-winning text to donate service. Thank you for taking the time to review us! We are happy to hear that you enjoy the customer service and are able to use text for your donation service. We appreciate your feedback and business. "Great and simple service. Does the job. " Simple to use. Good price. Good premium number. Would prefer ability to send more messages. Thank you for your review, Yoram. We are happy to hear TXT180 works well for you. "I have enjoyed texting our groups"
The convenience of scheduling the text. Sometimes I do not understand the jargon. Thank you for taking the time to review us. We appreciate your feedback and are currently working on ways to eliminate more of the jargon from the dashboard. "Great Tool to Stay Informed"
nothing really - works well and it is super intuitive. if you can use a computer, you can use it! Thank you for your review, Michael! We are happy to hear that you enjoy the service. Sales go up when customers know whats on sale. Thank you for taking the time to review us! For the automatic reply, you may edit that at any time under the Keyword area of your dashboard. The only automatic reply that you can not edit is the one-time carrier required message. We are happy to hear that the product works well for you and it is convenient. We appreciate your business and feedback. "Great Value for the Price!" The Pricing plans are flexible. Easy website to send out messages. And Understand. You can buy more messages. Unused Messages don't rollover. Wish you can write more in 1 message. Kinda short. Communicating with a lot of Customers instantly, Vs Facebook or Website. Increasing my sales. Thank you for taking the time to review us, Sandra! We plan on adding MMS messaging later this year which would allow for longer messages. We are happy to hear that text has helped you increase your sales. We appreciate your business and feedback. I like how simple the platform is. I can create a message in no time. I don't love how the default is to mountain time. It's prices are very competitive and I love how easy it is to use. If you want to contact people in the simplest way possible, TXT180 will allow you to do so. I enjoy being able to reach my clients via text. They never use email, so text is the best way to contact them. Thank you for taking the time to review us! You can set your time zone by visiting My Profile under the My Account tab at the top of the dashboard. Once you update your time zone, it will default to whatever you have set it to be. We are happy to hear that it is easy to use and that you are able to connect with your clients. Easy to use, moderately priced, great support. Now that there's a rollover portion to messages, nothing! Everything works from my end! We were looking for a company that was decently priced to send around 3,000 text messages a month to subscribers. Thank you for taking the time to review us, Adam! We appreciate your feedback and are happy to hear that everything is working well for you. "Easy way to keep in touch with your customer base." It's great being able to schedule messages for the next month in advance. It takes a little bit of time to learn the website but that's reasonable. Being able to proactively remind our customer base of meetings they might otherwise forget about. Thank you for taking the time to review TXT180! We are happy to hear that you're able to keep your customers informed. We appreciate your business. I really like the unlimited extensions. I don't really like that I have to pay so much for keywords and I don't like that unused monthly minutes don't rollover. Thank you for taking the time to review us! We appreciate your feedback and your business. * We monitor all TXT180 reviews to prevent fraudulent reviews and keep review quality high. We do not post reviews by company employees or direct competitors. Validated reviews require the user to submit a screenshot of the product containing their user ID, in order to verify a user is an actual user of the product. Hi there! Are you looking to implement a solution like TXT180?